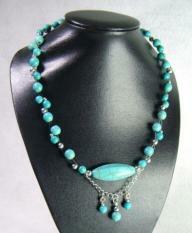 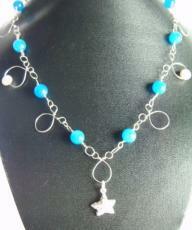 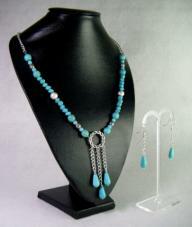 This necklace is a two strand weave of Turquoise rounds and silver-tone beads, culminating in a large central olivary shaped Turquoise, highlighted with a swag of silver plated curb chain with three Turquoise drops. 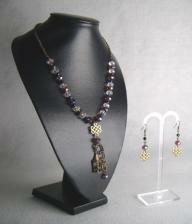 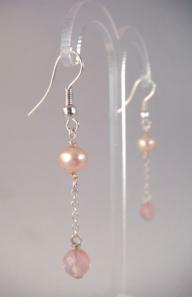 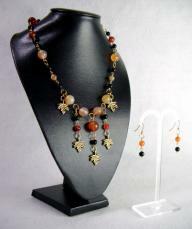 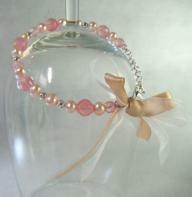 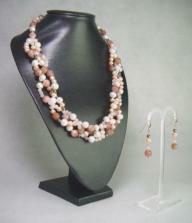 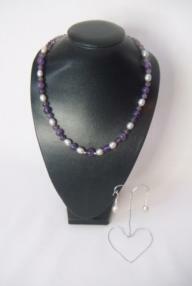 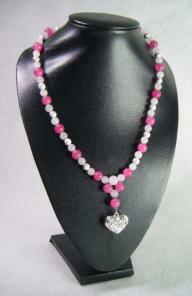 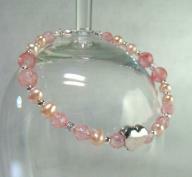 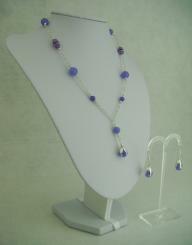 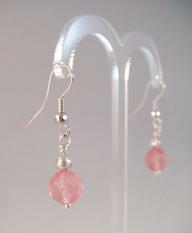 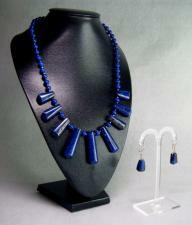 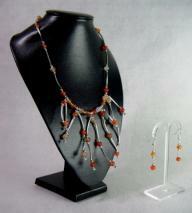 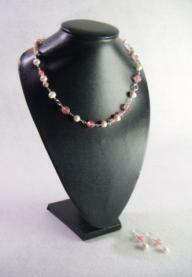 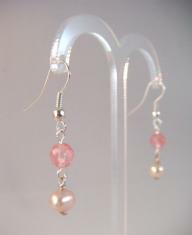 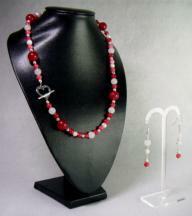 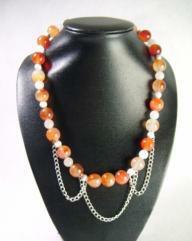 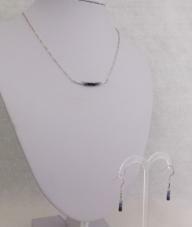 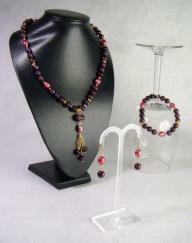 The earrings also feature bead weaving. 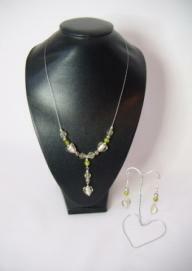 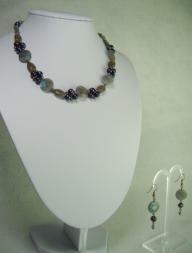 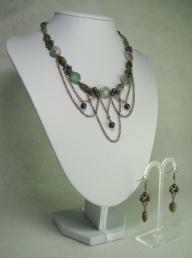 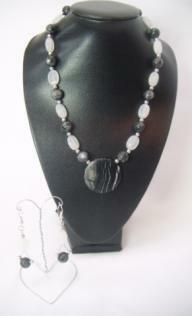 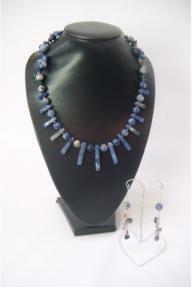 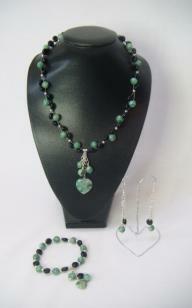 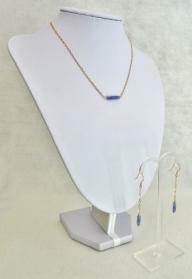 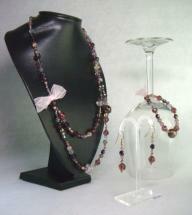 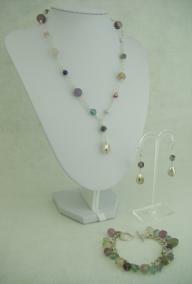 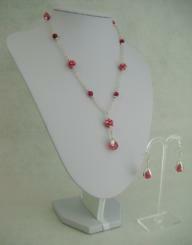 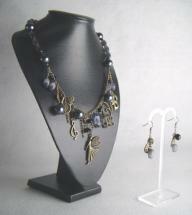 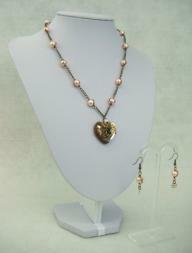 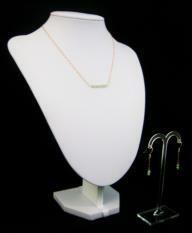 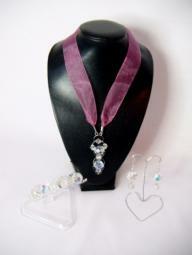 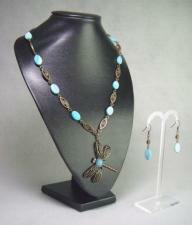 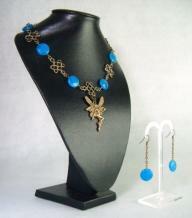 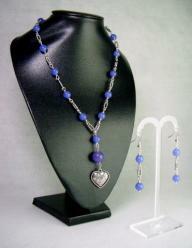 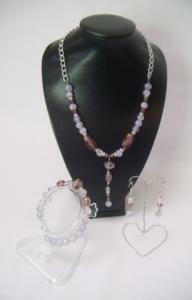 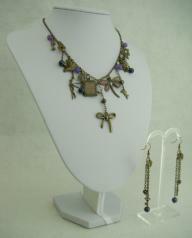 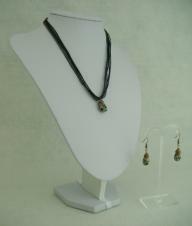 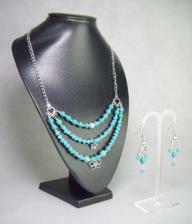 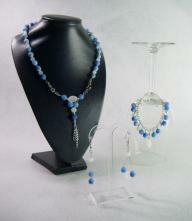 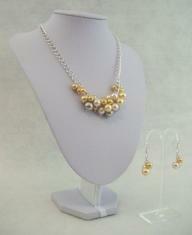 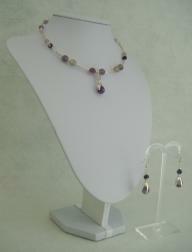 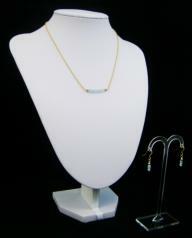 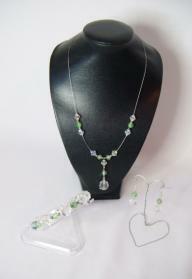 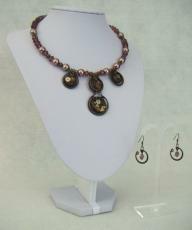 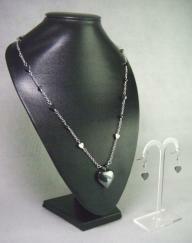 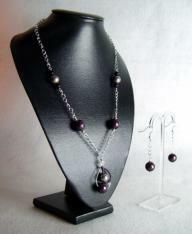 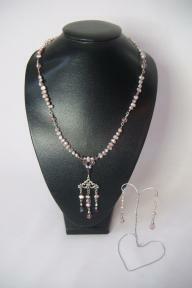 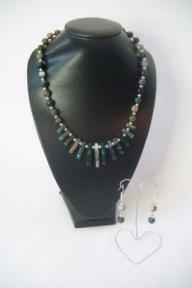 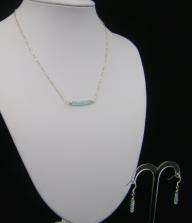 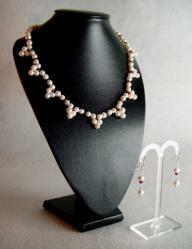 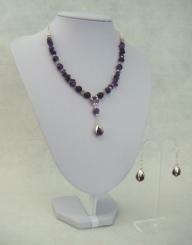 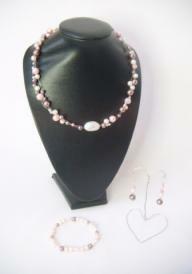 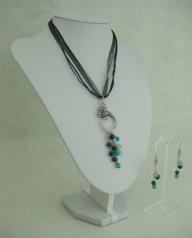 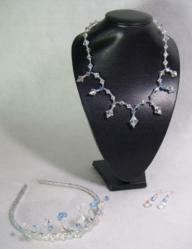 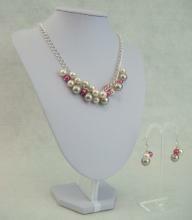 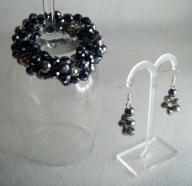 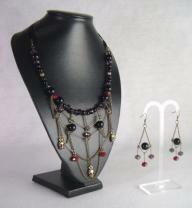 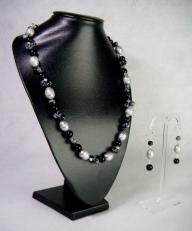 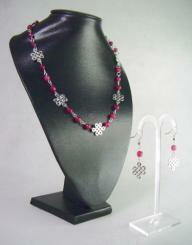 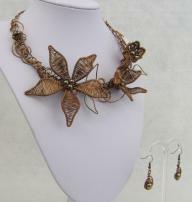 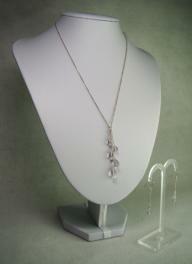 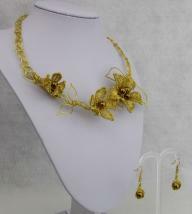 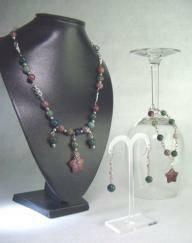 Really contemporary and a stunning holiday set.